Airbus has lost a contest to sell its A330neo jetliner to American Airlines Group, dealing a blow to the European planemaker’s efforts to boost wide-body sales in the world’s biggest aviation market. Talks with American over the re-engined model have ended, Airbus said Friday in response to questions from Bloomberg. The companies had been discussing the A330neo as a possible substitute for an unwanted A350 aircraft deal, and the decision means the U.S. carrier appears set to buy more Boeing 787s. Boeing spokesman Paul Bergman declined to comment on Airbus’s remarks. American Airlines didn’t immediately comment. 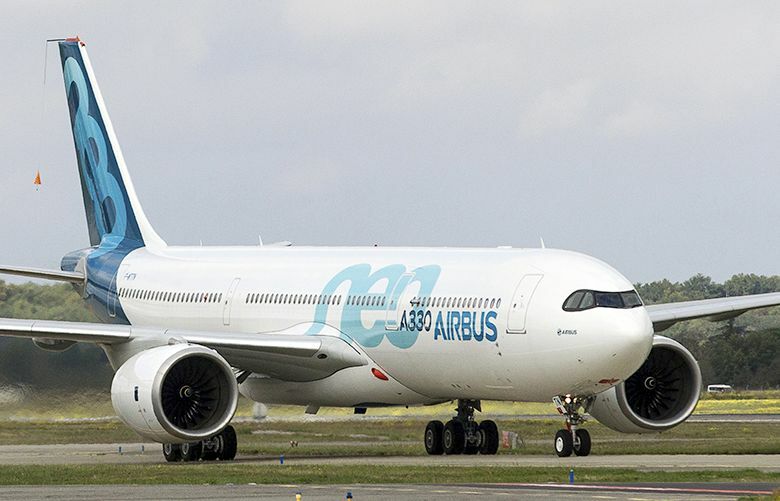 The carrier said in January that it was considering the re-engined A330 and 787-9 as possible replacements for the 22 A350s ordered more than a decade ago. Airbus said it has a series of ongoing sales campaigns for the A330neo with more than 100 airlines that currently operate the older version of the plane. The 250-seat A330-800 is on track for its first flight in the middle of this year, with the bigger -900 variant set to enter into service around the same time to launch operator TAP — Air Portugal. Boeing last month secured an order for 10 787 Dreamliners from Hawaiian Airlines after that carrier canceled an earlier deal for six A330-800s. American Airlines inherited the A350 contract from US Airways when it merged with the smaller carrier in 2013 but is reluctant to operate such a comparatively small fleet.